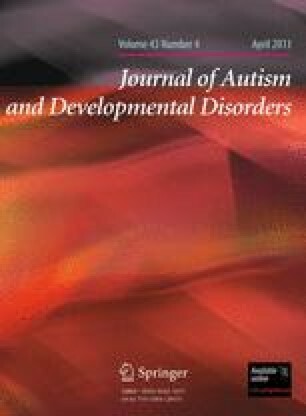 Guidance on effective interventions for disruptive behavior in young children with autism spectrum disorders (ASDs) is limited. We present feasibility and initial efficacy data on a structured parent training program for 16 children (ages 3–6) with ASD and disruptive behavior. The 6-month intervention included 11 Core and up to 2 Optional sessions. The program was acceptable to parents as evidenced by an attendance rate of 84 % for Core sessions. Fourteen of 16 families completed the treatment. An independent clinician rated 14 of 16 subjects as much improved or very much improved at Week 24. Using last observation carried forward, the parent-rated Aberrant Behavior Checklist-Irritability subscale decreased 54 % from 16.00 (SD = 9.21) to 7.38 (SD = 6.15). This publication was made possible by Clinical and Translational Scholar Award (CTSA) Grant Number UL1 RR024139 and 5KL2RR024138 from the National Center for Research Resources (NCRR), a component of the National Institutes of Health (NIH), and NIH roadmap for Medical Research. Its contents are solely the responsibility of the authors and do not necessarily represent the official view of NCRR or NIH. We acknowledge the efforts of Sherin Stahl for assistance with therapy cases and Breanne Bears and Kathryn Bradbury for data management.